This city hotel is the ideal option for both leisure and business travellers. 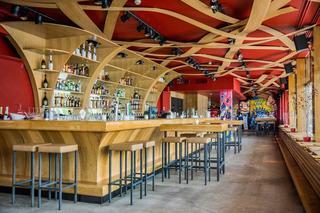 It is located in the most important business district of Amsterdam. The Amsterdam Schiphol Airport is located just 5 km away. Meanwhile tourists can experience Amsterdam's sights and sounds simply by boarding the nearest Metro. Nearby sights include the World Trade Centre (5-minute drive) and the Dam Square. The Van Gogh Museum is only 300 m away. This elegant 264-room hotel features a lobby with a 24-hour reception desk. There is also currency exchange facilities and lift access available. Guests may enjoy a moment of relax in our fancy bar or cosy restaurant. WLAN Internet access is also an available feature. The rooms are tastefully decorated and fully - equipped for the best comfort of our guests. The hotel includes a private gym. This hotel lies close to the Museumplein. The beautiful contrast with the classical buildings and the direct proximity of the historic centre of Amsterdam make it a magnificent location. A shuttle bus service conveys guests to Amsterdam's Schiphol airport. The hotel has 163 rooms. The rooms are equipped with air conditioning, a phone and Internet access. Further Hotel's facilities include a safe, a bar lounge and breakfast restaurant and a gym. Laundry and dry cleaning services are on offer as is 24-hour room service, babysitting. There are facilities for the disabled. The rooms each feature a bathroom with a hairdryer, a phone, TV, Internet access, air conditioning and a hire safe. There are coffee making facilities, a fridge, an ice machine, ironing set. Rooms offering access for wheelchair users are available. Guests may select their breakfast from the buffet. 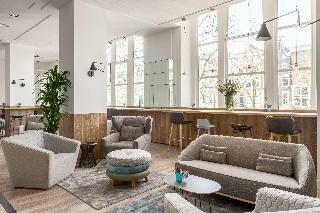 The hotel is situated close to Oosterpark and the Royal Tropical Institute, within a short distance of Amsterdam's shopping streets and the Dapper market. Waterloo Square, Artis Zoo and Hortus Botanicus lie within walking distance. This hotel has 80 rooms. Facilities include a reception desk, café-bar, a restaurant. Facilities include a WLAN access point, ironing set, a laundry service, airport transfer and medical assistance. The conference centre offers use of 5 spacious rooms with natural light. The largest room has space for 80 persons. In co-operation with the Royal Tropical Institute, larger events may also be catered for. A secure car park is available. The rooms have hairdryer, toiletries, a phone, TV, Internet access and a safe in addition to tea and coffee making facilities. Non-smoking rooms may be booked.Â Â Breakfast may be selected from a buffet. 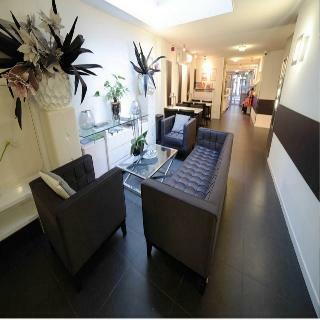 This property features a privileged situation in the lively area of Amsterdam North, a popular upcoming district with a host of new restaurants. Guests will find themselves just a 15-minute walk from the striking EYE Film Institute Netherlands, and a short driving distance from the city centre and all its vibrant attractions. Thanks to its warm elegance and friendly style, this enchanting hotel is ideal for both business travellers and holidaymakers. The comfortable rooms are airy and spacious, featuring a charming atmosphere and a fresh design with apple-green walls and white furniture. They all come complete with a host of modern conveniences, including pillow menu to guarantee a restful night's sleep. Sports lovers may make use of the complete fitness centre and select their breakfast from an ample buffet. The trendy yet relaxed café and lounge is ideal to meet with friends and share some time together. This luxurious and sophisticated hotel is a fantastic destination situated in the centre of Amsterdam, directly on Dam Square and opposite the Royal Palace. Furthermore, guests will be able to find numerous shopping and entertainment venues in the surrounding area and they will also be within easy reach from the historic old town where there are numerous leisure opportunities. The hotel features excellent facilities and provides quality services for the most discerning guests. Exclusive dining is also offered to the most demanding palates and includes several areas such as an outdoor lounge area to relax with a warm cup of coffee and an on-site restaurant that serves local delicacies. Business travellers might also take advantage of the varied offer of function and conference rooms available. Moreover, visitors will enjoy a good nightâ€™s sleep at the well appointed and modern guest rooms. This city hotel lies in the pretty, outskirts Amsterdam, directly adjacent to the main train station Zaandam, with direct links to the centre of Amsterdam (12 min) and Schiphol Airport (16 min). RAI convention centre can be reached in 25 min by public transport. The motorway is 5 min away by car. The guests may visit the city canals, warehouses and museums as well as the Zaanse marshlands. 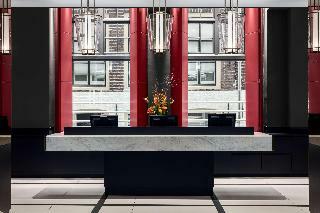 This elegant hotel offers a safe, a currency exchange desk and lifts. Dining options include an excellent à la carte restaurant. The tasteful rooms come with an en suite bathroom and perfectly-equipped living area. The Wellness Club is total relaxation guaranteed in a historic setting with indoor swimming pool, Finnish sauna and Turkish bath. The Life Fitness gym is part of the Club and is fitted out with state-of-the-art fitness equipment. 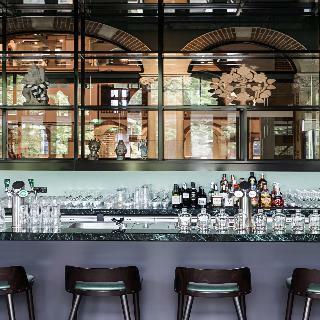 The Superior three stars WestCord Art Hotel is located in the north west of Amsterdam just a 10 minutes bus ride from Central Station and the Dam Square. As the name suggests, the hotel is based on the theme of 'Art' displaying many exhibits from local and international artists. A large spacious lobby welcomes guests to this unique hotel, offering 130 modern and spacious rooms with its own piece of 'Art'. The hotel also offers a range of fantastic facilities including the cosy 'Art' cafe, Atmospheric bar and 'The Gallery' restaurant offering a great selection of tempting dishes. In the summer months guest also have use of an outdoor swimming pool for free! This hotel enjoys a stunning setting in the intriguing city of Amsterdam. The hotel lies within easy access of the city's exclusive shopping streets, the Museumplein and the Royal Concert Hall. The bustling life of the Leidseplein is situated close by. 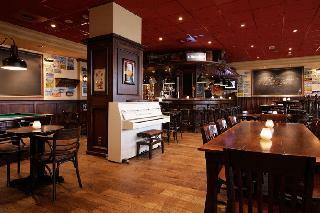 The hotel is conveniently located just a 20 minutes' driving distance from Schiphol Airport. 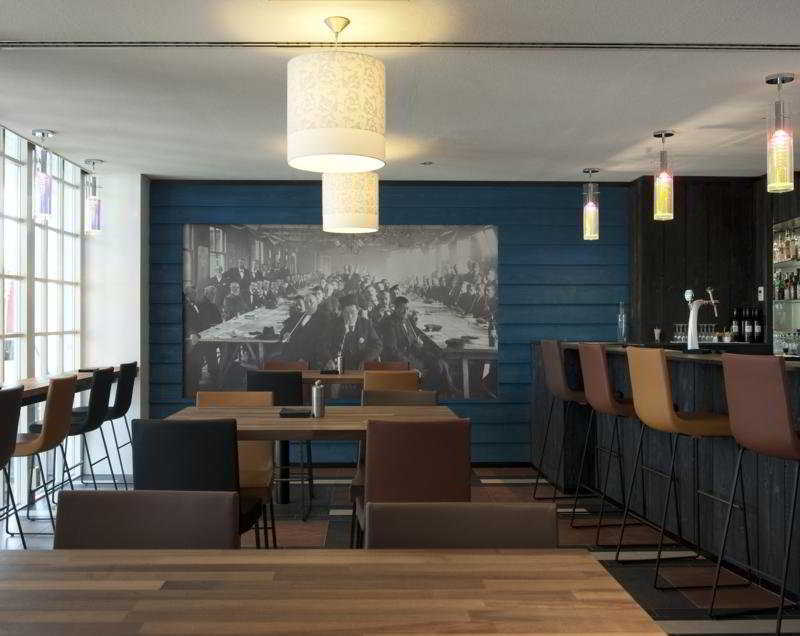 The RAI Trade and Congress Centre and the World Trade Centre Amsterdam are situated within easy access of this hotel. This elegant hotel tempts guests into a world of elegance and splendour. The guest rooms are luxuriously designed, offering a cocoon of peace and serenity in which to unwind. Guests will be impressed by the extensive array of excellent facilities that the hotel has to offer. 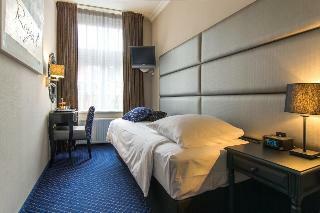 This comfortable city hotel lies at the heart of the peaceful, cultural area of Amsterdam. Links to the public transport network are to be found nearby, offering ease of access to other areas of the city. Guests can explore the wealth of attractions, restaurants, shopping opportunities and entertainment venues that the city has to offer. The Van Gogh Museum and the world-famous Leidseplein are located just a 5 minutes' walking distance away. This charming hotel enjoys a delightful architectural design. the guest rooms are beautifully appointed, and feature modern amenities for added comfort and convenience. Guests will be pleased by the facilities and services that the hotel has to offer. 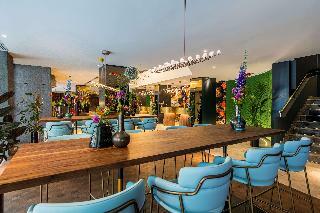 This hotel enjoys a great location in the intriguing city of Amsterdam. The hotel is situated within easy access of the main attractions that the city has to offer. Guests can enjoy a traditional bicycle ride through the city, and explore the impressive surroundings. Links to the public transport network are to be found nearby. This wonderful hotel welcomes guests with warm hospitality and excellent service. The tastefully-appointed guest rooms are well equipped with modern amenities. Guests are invited to enjoy delightful dining in the restaurant, and to avail of the wide range of facilities and services that the hotel has to offer. INK Hotel Amsterdam owes its name to the rich history of the building in which, as former home of the Dutch newspaper 'De Tijd', stories were conceived, written and brought to life in ink. 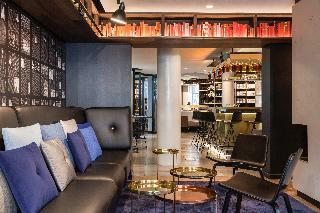 INK Hotel is the place "where stories are yet to be written". 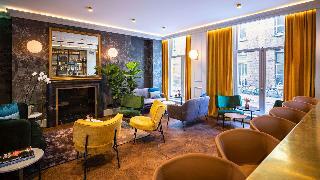 INK Hotel Amsterdam is a luxury design hotel, where the traditional rules of hospitality are freely translated to the modern day, rewriting the definition of 'luxury'. Award winning, state-of-the-art design in the heart of Amsterdam. 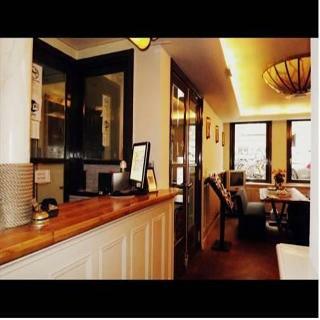 This hotel is located in the heart of the city centre, overlooking the Singel Canal, a brief walk from the floating flower market, the Dam square and many shopping opportunities. Public transportation connects to a plethora of attractions. All of the 213 comfortable rooms have views of downtown Amsterdam or the Singel Canal and the hotel offers a peaceful winter garden for all guests to enjoy as well as an elegant boardroom for those traveling on business, who will appreciate the tram connections to major business hubs like the RAI Convention Centre and the World Trade Center. This hotel is beautifully set on the Amstel River, lying just a 10 minutes' walking distance away from Dam Square in Amsterdam. The hotel is located just a 5 minutes' walking distance away from The Flower Market and Rembrandt Square. Guests will find themselves within easy walking distance from Leidseplein, Museumplein and the central train station. Schiphol Airport is just 20 km away. This hotel is renowned for being the place where Rembrandt painted 'The Night Watch.' This charming hotel occupies a 17th-century building. The hotel features a classical design, exuding sophistication and grace. The guest rooms are beautifully appointed, exuding classical elegance and refined luxury. Guests are invited to avail of the facilities and services that the hotel has to offer. Right by the floating Flower Market, and within walking distance of most major attractions in Amsterdam, this luxury hotel's location, in the city centre, is ideal. Bright and stylish, this beautiful hotel is within walking distance from Rembrandt Square, Mun Tower, and the famous Red Light District. Guests can enjoy Italian snacks and coffee in the bistro Girasole or order room service from the comfort of their room. There are also 8 state-of-the-art rooms for meetings and private functions. Guests may park their vehicle in the hotel's car park (fees apply). This charming urban hotel is located near the A10 highway giving it quick and easy access to many parts of the area. The centre of Amsterdam is only 15 minutes away by bus or car. Across the street from the establishment guests will find one of Amsterdam's newest shopping centres which offers plenty of opportunities to guests who need some shopping therapy. The hotel is a comfortable city residence that opens its doors to welcome both tourist and business travellers. All of its accommodation units are comfortably decorated and feature a private bathroom. Some units are also provided with a bath. Pay-TV is available for guests' entertainment.